The U.S. visit in April of Chinese President Xi Jinping and the meeting he had with President Trump at last week's G20 Summit underline the fact that China represents an attractive market for expansion -- for numerous reasons. That Asian giant is now comfortably the second-largest consumer market in the world, and it boasts a massive population of consumers who have little debt and a lot of cash to spend. In addition, many Western brands have proven to be very popular in the Chinese market. U.S.-based businesses can also benefit from partnering with companies in China to improve their supply chain, given China's highly sophisticated manufacturing industry. If you are planning on expanding your company to China or off-shoring production there, you must keep in mind several cultural and logistical factors that will shape your strategy as you operate within the country's borders. You will have to learn to recognize these differences and adapt your practices to find sustained success in your Chinese endeavors. It's true in any business situation that you need to prove to your customers and vendors that you aren't there to make a quick buck off them and then disappear into the sunset with your profits. But it's even more of a sensitive issue when you're expanding into a country such as China. Local buyers and vendors may be inherently wary of you as an outsider, so you need to pay extra attention to the signals you send to the community you enter. One strategy for success in this area is to collaborate with those who understand the vision and values you have outlined for your company, and who are invested in your long-term success. This will help you demonstrate that you view China not as a way for vendors and manufacturers to help you cut costs and increase profit, but as a conduit to mutually beneficial partnerships. 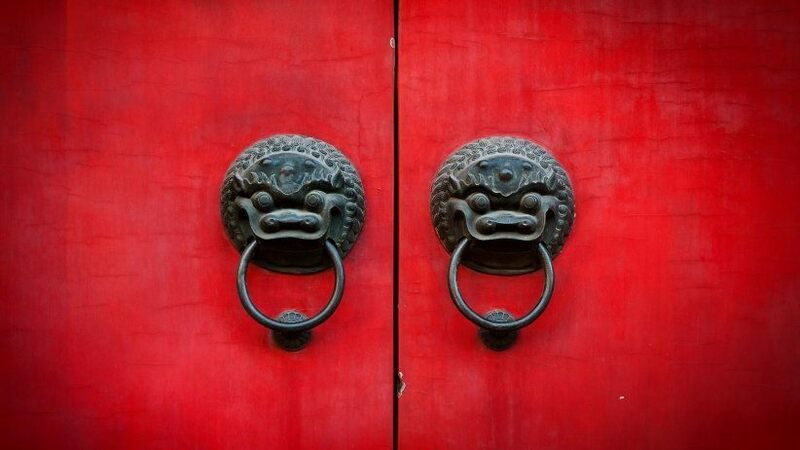 Most Westerners are at least somewhat aware of the major differences in Chinese culture, and these can have an important bearing on your company's success in the country. For instance, colors can have very specific meanings for the Chinese people; red, for instance, is associated with good fortune. While white symbolizes purity, it is also the color most associated with death. These facts can be crucial for your branding considerations in the country. Another factor you need to be aware of is the importance of the Lunar calendar. Although the Gregorian calendar has been in widespread use in official and unofficial capacities for some time, specific dates on the Chinese Lunar calendar still hold importance and are considered more "auspicious" or "prosperous." It's important, then, to be aware of these dates, because many Chinese representatives will schedule business meetings or events around them. The Chinese New Year celebration is also a major holiday that is observed for a full week (sometimes longer) throughout many different economic sectors. Despite the opening of the Chinese economy to foreign investment and influence that began in earnest in the 1990s and really took off this century, Chinese culture still places a high value on the collective. It really is amazing how decades of communist rule can affect even the most personal human interactions, but such is the influence that collectivism has had on the lives of most everyday Chinese citizens since they were born. As a Western business leader, you need to respect this influence and understand that your Chinese partners and customers may not define value the same way you do. Although some elements of Western-style individualism have begun to enter into Chinese culture, for many people individual accomplishments or desires will still be secondary tosocietal, familial or organizational obligations. Depending on the industry, many American entrepreneurs can start and operate a business with only minimal interference from federal, state and local governmental agencies. If you operate in an unregulated sector, you may not even think about how the government affects your business until it's time to pay your taxes. In contrast, in China, governmental agencies have their hands in everything. However, it's important to remember that in many cases, local bureaucrats may be more prominent than the central Chinese authority. Accordingly, it's crucial to study the political landscape of the area where you will be operating and learn how to navigate the unique mix of centralization and decentralization that is present throughout the economy. Successful sales leaders always customize their sales pitch for specific audiences. That's because they aren't selling a list of features; they are selling their aspiration that by buying the solution they sell, customers can solve their problems and improve their lives. You can use the same concept when readying your sales presentations for the Chinese market; you'll just have to take things a little further. For example, it may seem incongruous to a Westerner that Chinese culture values austerity and saving, while the Chinese market for luxury goods has been robust in recent years. For modern upper and upper-middle class Chinese citizens, Western luxury brands represent part of a new global future and a commitment to buying quality, rather than a frivolous purchase that will haunt them down the road. If you're planning to expand to any foreign market, you're far more likely to be successful if you rely on local partners who can guide you through the cultural and logistical hurdles that await you. This is especially true in the case of China, a country whose values and systems are still largely misunderstood by most casual Western observers. Find a skilled translator who can attend every meeting with you, and pay close attention to the advice given by your trusted local staff. These people will often be the difference between your making an unforgivable faux pas and successfully navigating the complex world of Chinese business.